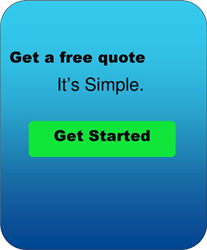 We specialize in home and business moves, large or small, in-state and out-of-state! 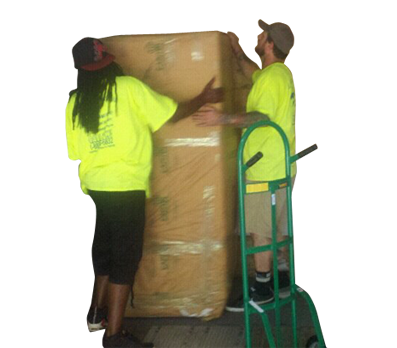 We employ background checked and drug screened movers to assure you of the highest quality service and moving experience! 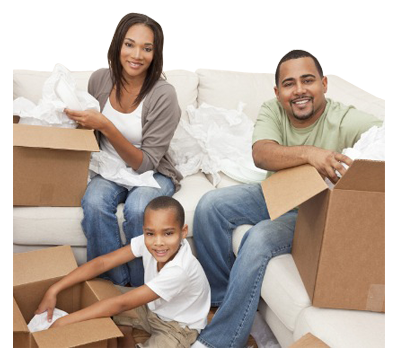 If you’re planning to relocate to New York, Los Angeles, or Miami, we’re the movers for you! Along with the many local moves we do here in Mobile and Baldwin Counties, it would be our pleasure to relocate you anywhere in the country. 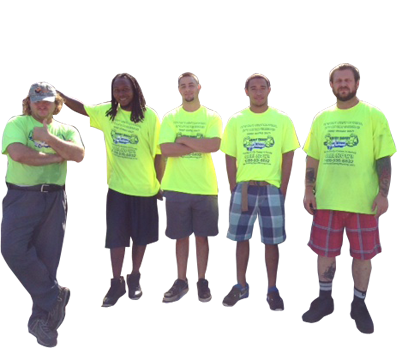 You would get one team of guys that would handle your items with care for the duration of the move and get the items to the new location in a timely manner. Do you feel overwhelmed by packing? 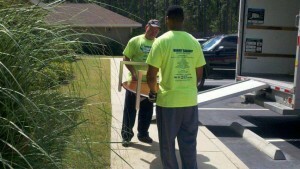 You should know that our guys would be more than happy to pack up your home for you! 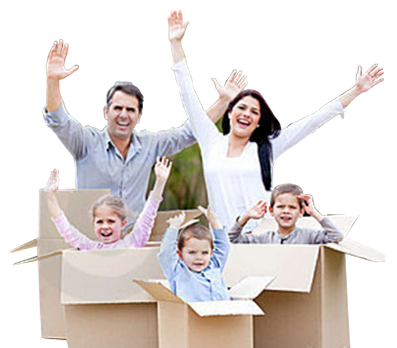 Here at Handy Dandy Moving Service, our professional movers are qualified to do the packing for you. 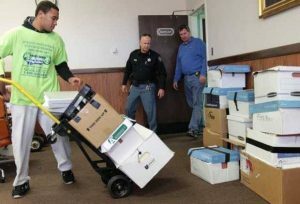 If you have one room you’re dread packing, we can lift that burden for you. 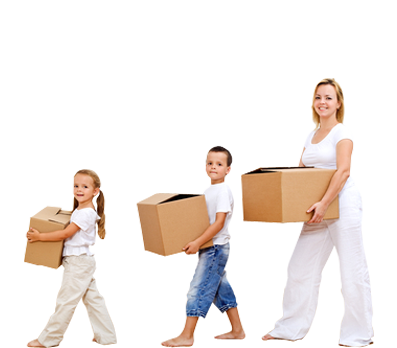 Along with packing, we also unload and place items in the rooms they belong in for you. 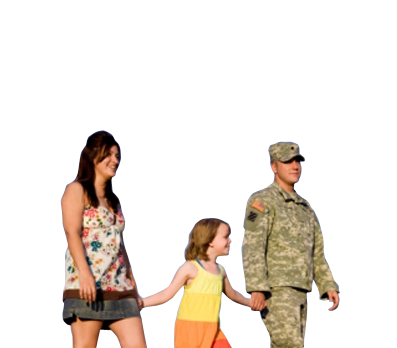 We provide Mobile and Baldwin counties with the packing supplies needed to make the moving process stres-free. 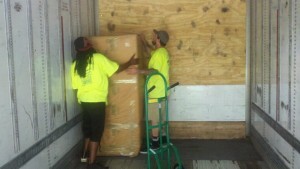 Whether you need boxes, tape, paper, bubble wrap, quilted moving pads, or lamp boxes; we’ve got what you need! We currently sell two packages available for purchase. One being a small package that includes of 20 boxes, a wardrobe with bar, tape and 10lbs of stuffing paper. 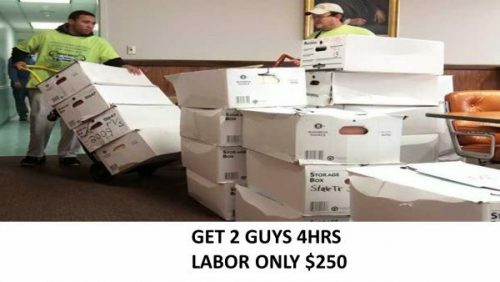 The other package is a large offering that includes 90 boxes, three dish packs, five wardrobes with bars, four rolls of tape, and two 10lb bags of stuffing paper. We’ve got the supplies you need that provide the durability to assure that your valuables will be protected! Business moves? We can help with that! Starting a new business? Rearranging your office? Undergoing renovations? Moving into a new office building? Whether you’re opening a new business or just doing a quick renovation, our guys can provide the extra hands needed to make your transition quick and stress-free. 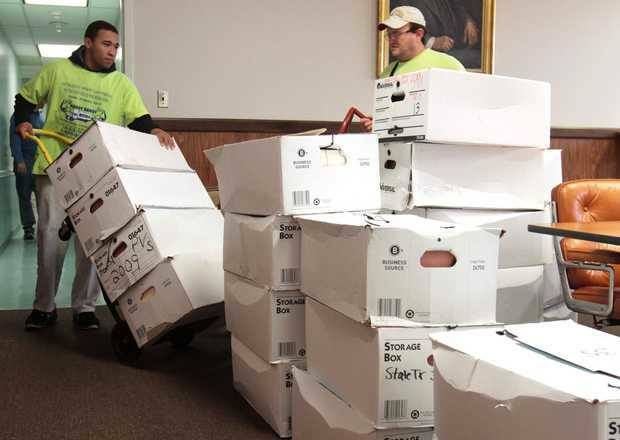 With extensive training on moving large items, such as desks, filing cabinets, chairs, fish tanks, and bookcases, we have the guys for your business needs. If you’re interested in a business move, our operations manager or his assistant would be happy to out and do an in-home consultation free of charge. 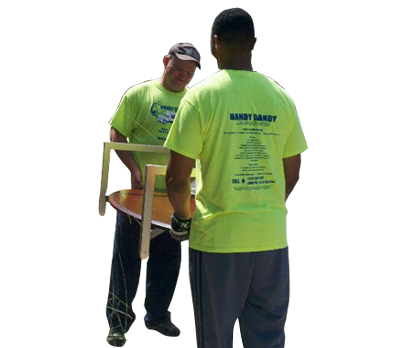 Handy Dandy Moving Service is here to move businesses forward in the Mobile and Baldwin County area! 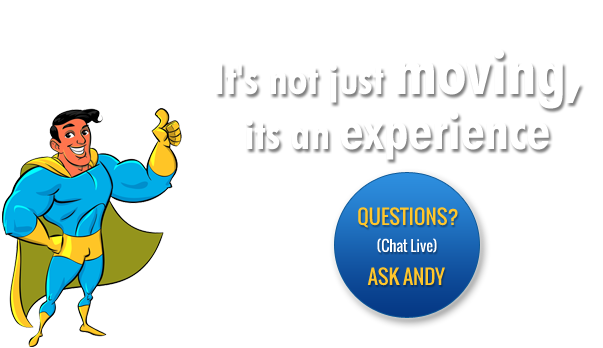 Thank you for your interest in Handy Dandy Moving Service! 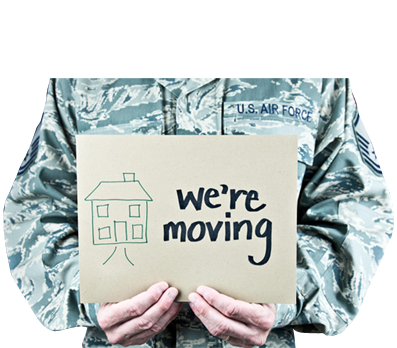 We look forward to speaking with you about your upcoming moving needs.